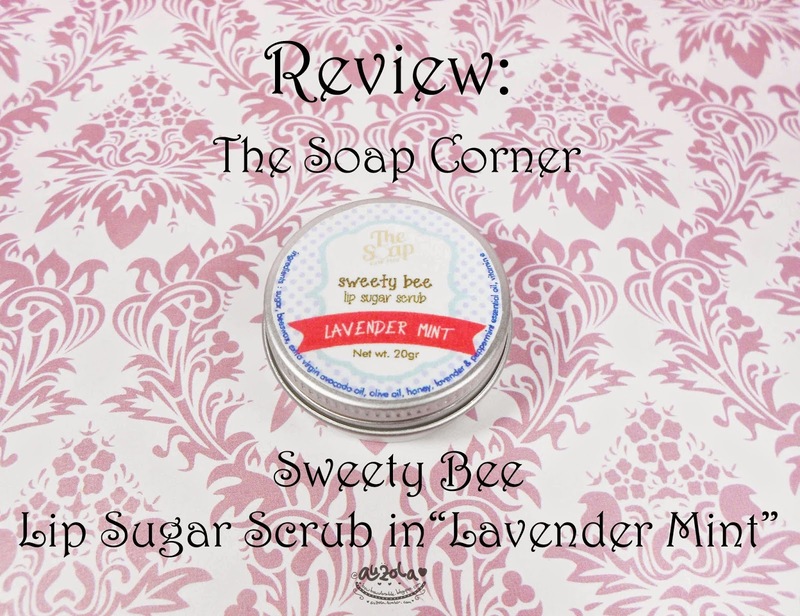 Rainbowdorable by Auzola | Indonesian Beauty Blogger: Review: The Soap Corner by Moporie Sweety Bee Lip Sugar Scrub in "Lavender Mint"
Review: The Soap Corner by Moporie Sweety Bee Lip Sugar Scrub in "Lavender Mint"
Today im going to share a review about a homemade lip sugar scrub from The Soap Corner by Moporie! Well, maybe some of you already read about my other review of Moporie soap brush product: Brush Best Friend Soap (go check out the review if you havent! ), the thing is Moporie has this range of homemade products, such as brush soap, liquid soap, bar soap, lip scrub and stuff. 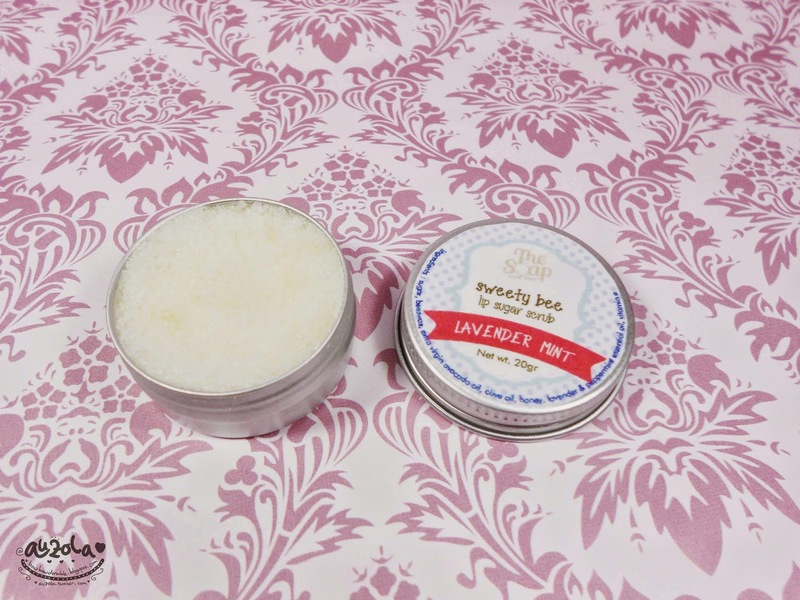 And right now im going to share a bit about Moporie Sweety Bee Lip Sugar Scrub in "Lavender Mint"! 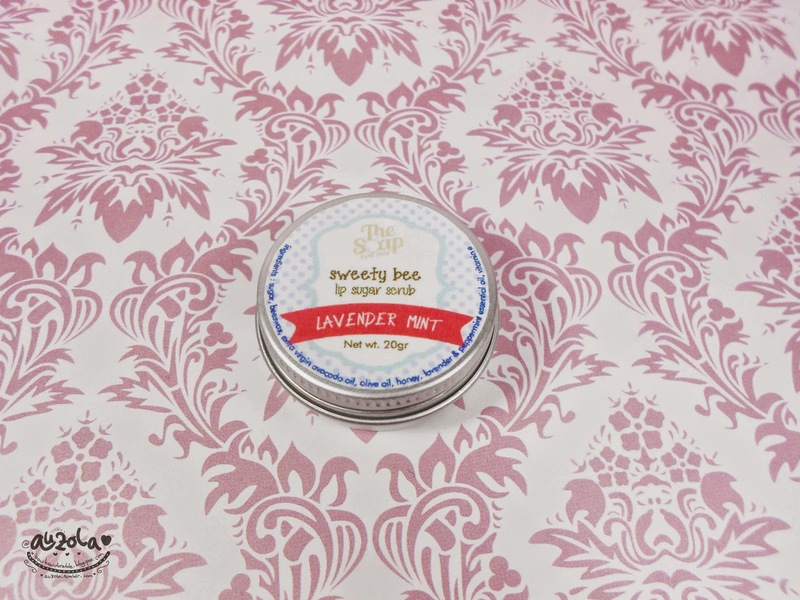 Name : Sweety Bee Lip Sugar Scrub in "Lavender Mint"
Okaayy, let's check out the packaging, well all i know is Moporie is good making their products look cute! 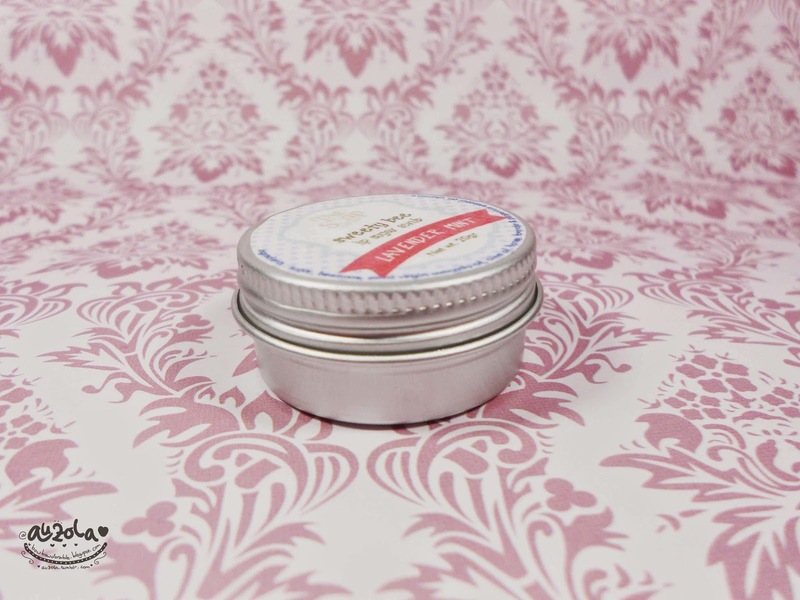 So the sugar scrub packed in a really cute and small can, with Moporie product sticker above the cap. Twist the cap to open the thin can. And you can see on the top of the cap, small ingredient list, which contains: sugar, beeswax, extra virgin avocado oil, olive oil, honey, lavender & peppermint essentials oil, vitamin e. So happy to see all natural ingredients! Here's what inside. The sugar scrub compacted inside the can perfectly. 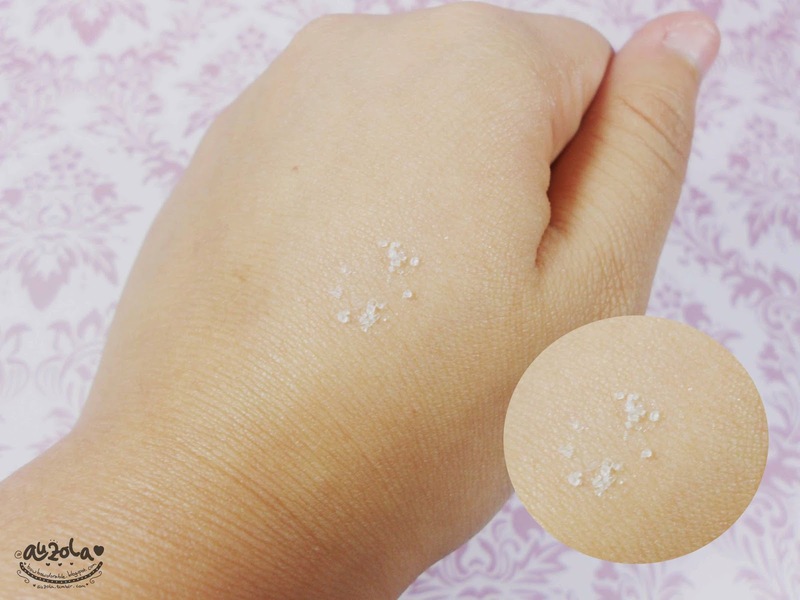 Now let's check out the sugar scrub texture and also when i applied it on my hand plus lips! The texture is just like usual sugar with smaller particle than normal one. It smells wonderful and the small particle make it more easier while you scrub your lips with it. Just put it on your lips and scrub all the dead cells from your lips! Well, maybe the picture doesn't do justice, but actually my lips feel so much softer and more pinkish that before the scrub, all the dead cells are gone as well, make my lips feel moist! To tell you the truth i love this lip scrub! First of all i was so lucky to get such a nice smell, the "Lavender Mint" one! I really like it, very refreshing for me! 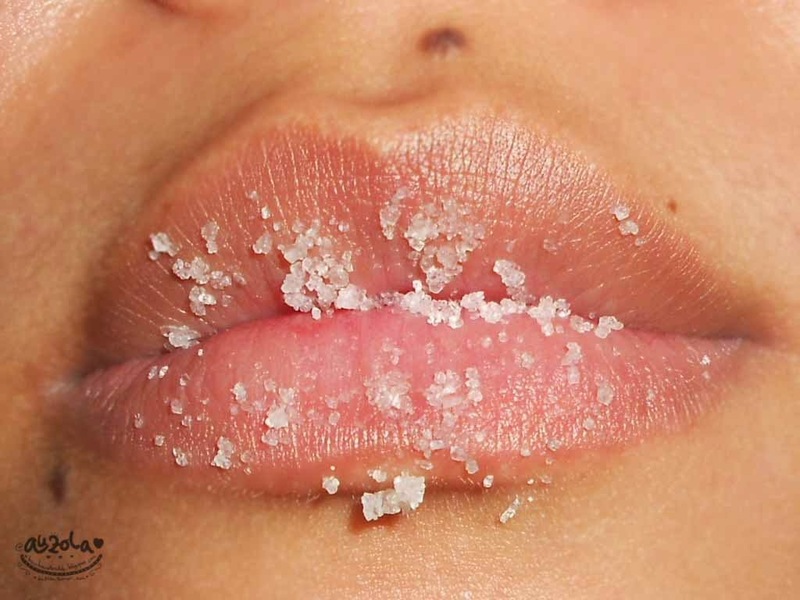 The texture of the sugar particle is small making it easier and perfect for scrubbing the lips. I shove away your dead cells from your lips and make your lips more pinkish afterwards. Easy to use and perfect to use when my lips are chapped, especially after a long day using a matte lipstick (seriously drying up the lips, but i can't help it, i love matte ones!) 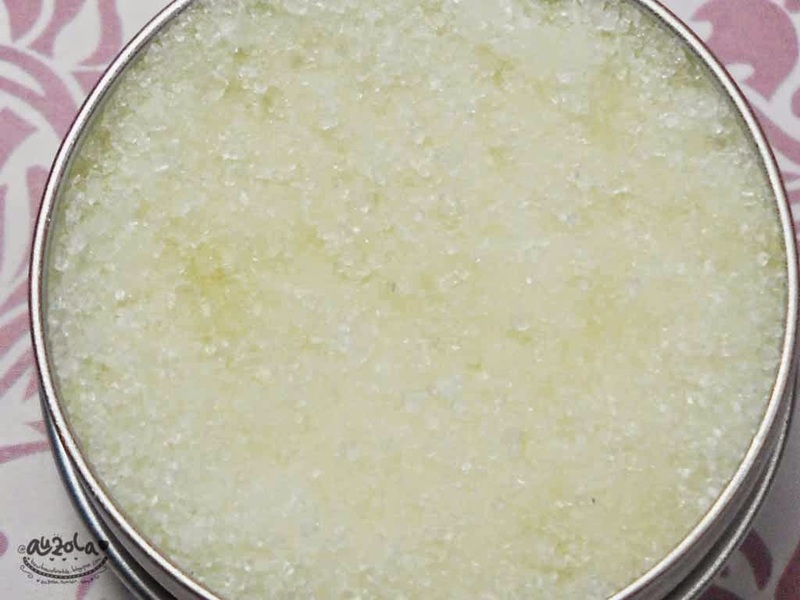 or when im not really in a good condition that makes my lips chapped, this sugar scrub is my daily lover! At first i thought why need to buy a sugar scrub while maybe i can make my own, but i tried my own sugar scrub and this one, i should say mine can't compare this one yet hahaha. So IDR 45k is quite worth it, after all this scrub it's not easily touch pan since you don't have to use much while scrubbing. In conclusion i love this Sweety Bee Lip Sugar Scrub in "Lavender Mint", i really love how it smells and how it help me with my chapped lips. But if you if you dont like this smell, you can always choose another flavor using natural powder (coffee, vanilla, cocoa, matcha), or essential oil (lavender, peppermint, tangerine, grapefruit, lemon) or flavor oil (with additional fee, just contact the Moporie for more info). That's all! I hope you find this review useful and if you interested, you can always contact Moporie to get your own lip sugar scrub!